Chomp chomp chomp — as I watch the red velvet sunset near the sea. It was an awesome twilight that made my burger tasted better than ever! 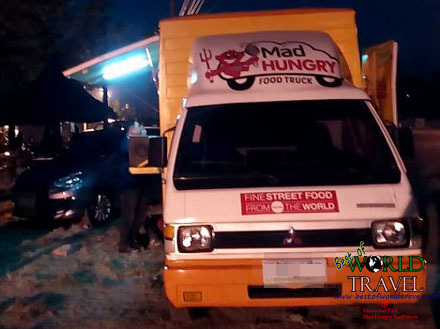 “Is this the best burger in Subic?” The Best of World Travel will reveal a review regarding the Mad Hungry Food Truck’s ultimate burger! After taking the sunset video at Subic seaport, I tried to walk down the road and found this yellow food truck. It was like a converted multi-cab that is just parked along the Malawaan Park. 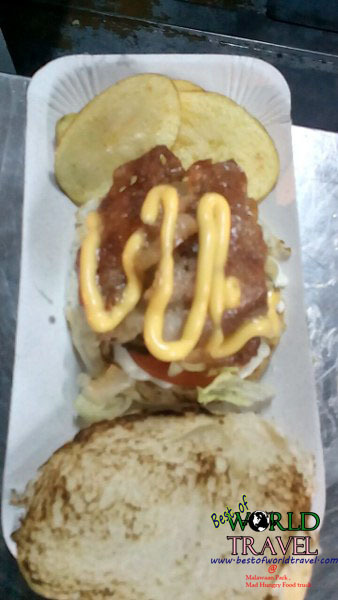 Stories say that this food truck serves a competitive burger that can represent Subic in burger battles! I ordered their best shot, the MAD HUNGRY BURGER. It was worth 100 Pesos or (2-2.5 USD). Mr. Sam, the chef, instantly started to make my request. He first laid down the paper plate. 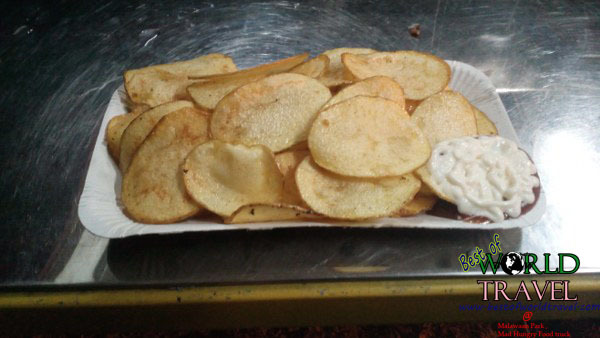 Next, he placed the hot and sizzling potato chips just right after they snorkeled into the deep pit of boiling oil. He then started to lay down the burger buns that were slightly toasted on their cuts. The chef then added the mayo, potato and the mushrooms. Next was the veggies and lastly the burger patty and some seasonings. It was so easy, and yet it was very tempting to eat the burger just right it was served. There were no seats provided by the food truck, but there were lots of mini cottage just near the Mad Hungry food truck, so it was not really a problem. Plus, it was a park and there were a lot of Bermuda grass where you can even bring your whole clan just to eat the claimed best burger in Subic! 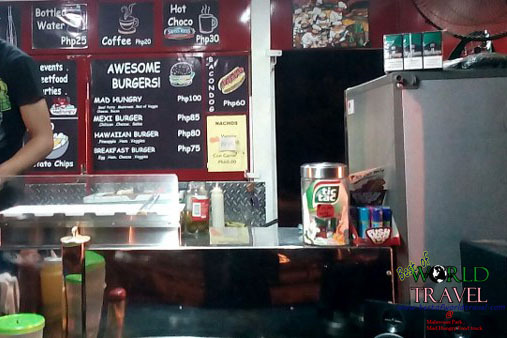 Best Burger in Subic? Let’s See! Wow, I could really say that the burger’s presentation was above expected. Since I was eating a burger from a movable food truck, I was expecting it to be like the Angle’s burger or Franks ‘n Burgers stall. It was served with love on a paper plate. Well, not just the burger but the Potato Chips as well! The chef has also served the food with ease and lets the customer see what he was doing to your food. It takes great courage and experience for a cook to show to everyone what he was doing to your food, much like the chefs that showcases how to make noodles in some mall. The potato chips was not enough for me at that time! I wanted more! It tasted just like the potato chips that I had been eating when I was a kid. My grandmother was frying these chips, but it was made from sweet potato! Yes, the claimed best burger in Subic’s side dish, the potato chips tasted like it had some sweetness that lingers around its system! It was crunchy with a full punch of heat because of its freshness from the oil swimming. I could remember tasting the mushroom first as I dug into the whole mountain of burger in a sesame buns. The patty wasn’t big enough to occupy the whole bun. It was petite just like a pair of chicken nuggets. It only covered maybe three fourth of the whole bun’s cut, that’s why with the lubrication of the mayonnaise, it slid through! The mushroom tasted normal than ever, it tasted fresh,.. fresh from the can. The Mayonnaise tasted right as the balance between the the tomato, pickles and other veggies showed up. They were all fresh. When I dug again to reach the shinning jewel of rumored best burger in Subic, the patty’s umami busted into my mouth just like a ravaging cow in a clean grassy field. The awesome scenery made a great addition to the taste of the beef that was continuously rampaging my taste buds. It was an awesome patty, but the tenderness and umami wasn’t enough to satisfy my taste buds. 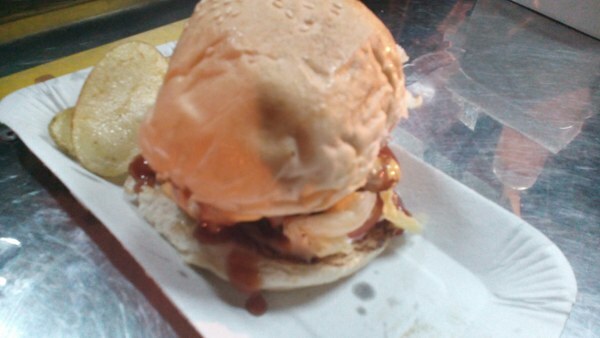 While small in size, the rumors about the Subic’s best burger in a truck was awesome. But, I could not say that the same burger I ate can be the best in Subic. Mad Hungry Food Truck’s burger may be awesome, but it still did not reach my expectation to be that “awesome”. I think it still need improvement in many ways. I think, the great view and scenery in Subic greatly affected the experience of the customers, especially those who are in romantic dates. 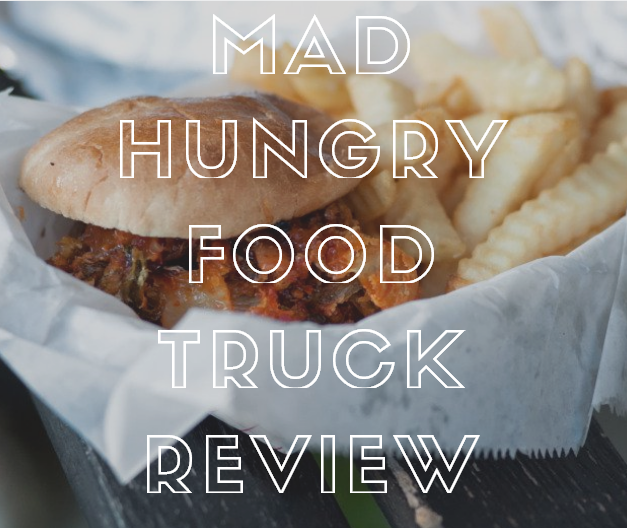 Mad Hungry Food Truck’s Menu ranges from Burgers to hotdog buns fries and so on. They also offer refreshments such as water and soda that has a price range of 0.5 – 0.75 USD.